This blog first appeared as my Editorial for the latest Trail Run Magazine. Keeping it real above Diamond Lake, Wanaka. 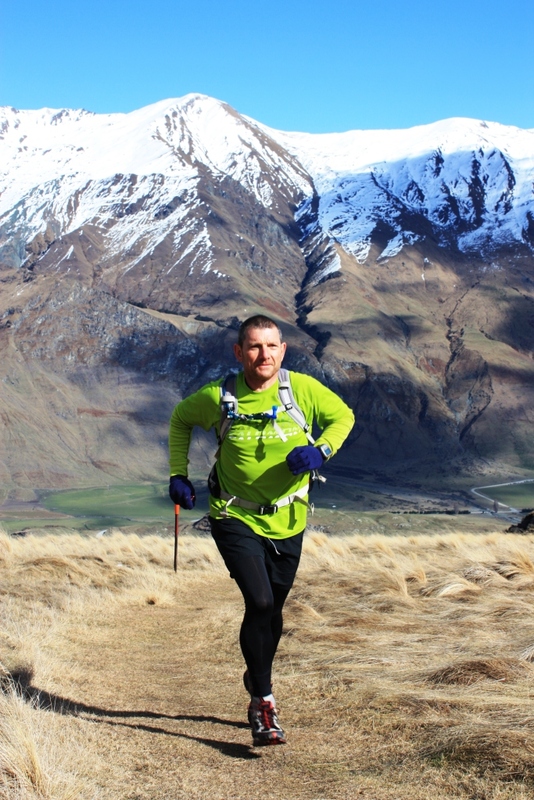 As we near the end of another winter, one that for much of New Zealand has been a particularly wet and wild one, we can at last start looking forward to some dry trails to run on. While I’m not a big fan of heat and dust I am getting rather tired of cleaning the mud from my shoes (or more precisely tired of the guilt associated with not cleaning the mud from my shoes) after every trip to even the local park. Many kilos of fine Waitakeres mud and west coast black sand have gone down our plug hole over the last few months. Perhaps it’s time to give the u-bend in our laundry tub a rest. But with the change of season it’s hard to escape the nagging concern that somehow, through the drying out of things, something of the essential experience of what trail running is all about might be lost. There is a lot of skill in running muddy trails efficiently. There is a lot of joy in getting thoroughly filthy from head to toe. Perhaps running on clean, dry track is just a little too easy? Perhaps the art of trail running is somehow diminished in such circumstances? Okay, I know it’s a rather absurd idea and believe me when I say I am most definitely looking forward to some of my favourite trails becoming truly runnable again. But this line of thought is really taking me in another direction – one that isn’t so trivial or inconsequential. It has me contemplating the ‘dumbing down’ of the trail running experience, not due to the season but due to the occasionally misdirected efforts of those responsible for trail building and maintenance, who can at times seem determined to rid our trails of every rut and root and to replace cambered earth surfaces with level crushed gravel ones. Most of the trails that we run on are walking tracks, some purpose built and others the remnants of past attempts to reach precious commodities such as gold or native timber. They were hacked from the land in a fairly makeshift way, but they served their purpose well. They also serve the purpose of asphalt-deploring runners perfectly too. So when they are ‘bettered’ by using substantial chunks of taxpayer money to turn them from being loveably imperfect into something that is hatefully perfect I get very upset. It’s like Extreme Makeover Trail Edition except that it makes for boring, repetitive trail running instead of boring, repetitive couch potato fodder. I suspect that the closer we are to a major population centre the more common this conflict of interest becomes. One recent experience that brought this home to me was a run up the Anatoki Track, just outside Takaka in off-the-beaten-track Golden Bay. This old miners’ route clings precariously to the steep, bush-clad hillside high above the raging Anatoki River and is little visited at this time of year. What delighted me about it, apart from the wonderful scenery, was the unkempt nature of it. Built as a well-benched trail it had seen better days but the windfall, the roots, the rock slides and the pig rooting holes only added to the sense of adventure and the accomplishment that was to be had. In contrast to this experience I know of many kilometres of track in my local playground – the Waitakere Ranges – that until recently offered a similar, technically-challenging experience, but now seem to be little more than narrow extensions of the gravel roads that lead to their start. Fortunately I don’t think those responsible for these well intended upgradings have the budgets to inflict wholesale reshaping of our trail landscape. For the time being at least we can still find endless take-me-as-I-am trails to practice the art of genuine trail running on. Long may it last and long may we continue to risk sprained ankles rather than shin splints. If you’d like to receive Running Wild’s blog posts by email you can subscribe here. This entry was posted in Opinion and tagged Anatoki, ankle sprains, community, running, trail maintenance, trail running, Waitakeres. Bookmark the permalink. 100% agree with you. The” dumbing down” of trails is two fold, it is getting more people out into the wilderness but it is driving people such as us further a field to find what i call “true trails”. There is in my opinion a huge difference between off road running and trail running.The latter is what spins my wheels or should i say vibrams.The first 23k of last weeks Waihi run was awesome trail running,rooty,rocky,river crossings etc..